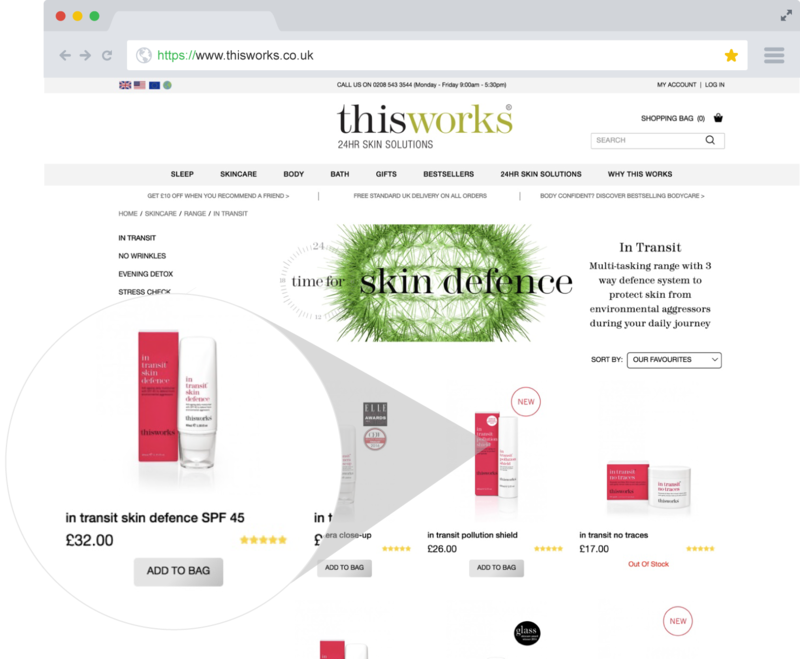 This Works was created in 2003 by former Beauty Director of Vogue UK and International journalist, Kathy Phillips, as an antidote to modern life and its impact on skin and well-being. Screen Pages has been managing This Works’ online shop since 2012; eCommerce revenues have more than doubled over that period. A full, responsive re-design and re-arrangement of the entire site catalogue & content structure whilst keeping the branding of the site consistent with the previous, non-responsive site. Addition of subscription-based purchasing for products. Upgrade to the latest version of Magento. Creation of AJAX add to basket and category page loading functionality. Integration with a new back-office system – Netsuite – concurrently with the re-design. Integration of Elastic search for categories, products and content pages. Addition of user generated social content tools within the site. What makes This Works site so special is the organisation, management and automation. 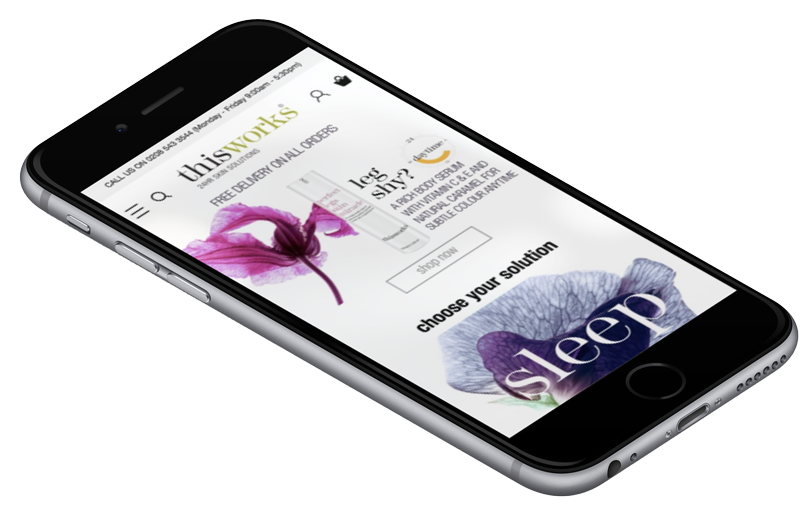 Screen Pages and This Works deliver an irresistible, seamless shopping experience at every touchpoint. Responsive web design (RWD, also referred to as responsive design) was a key focus for This Works. Screen Pages had to ensure an optimal viewing experience across a wide range of devices (from large, high-resolution desktop computer monitors to mobile phones). Combined with This Works crusade for ‘what works’, the user experience (UX) became our obsession. 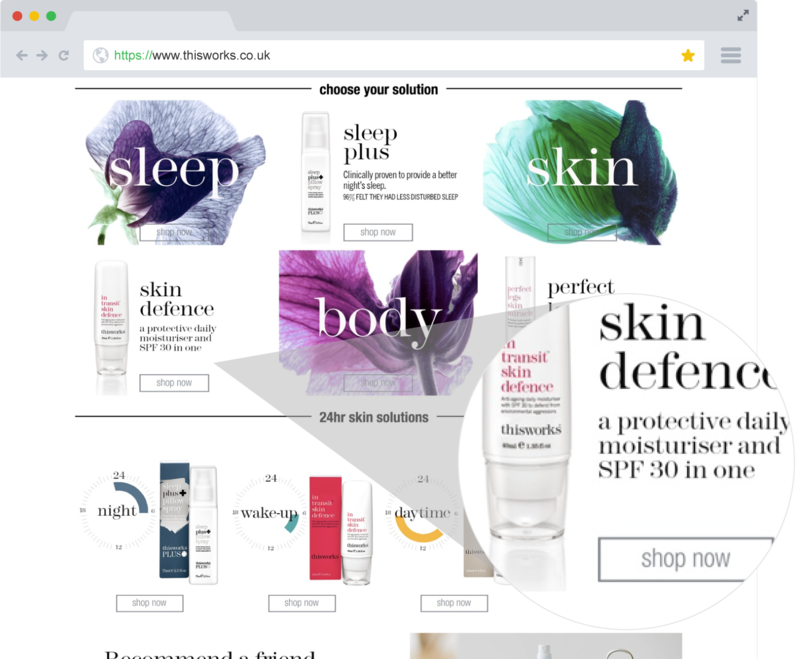 The objective was to ensure the user eCommerce journey was as streamlined and efficient as possible, whilst maintaining the high clinical standards set by This Works.